Slick conditions are possible Tuesday morning as freezing rain is expected throughout central Iowa. 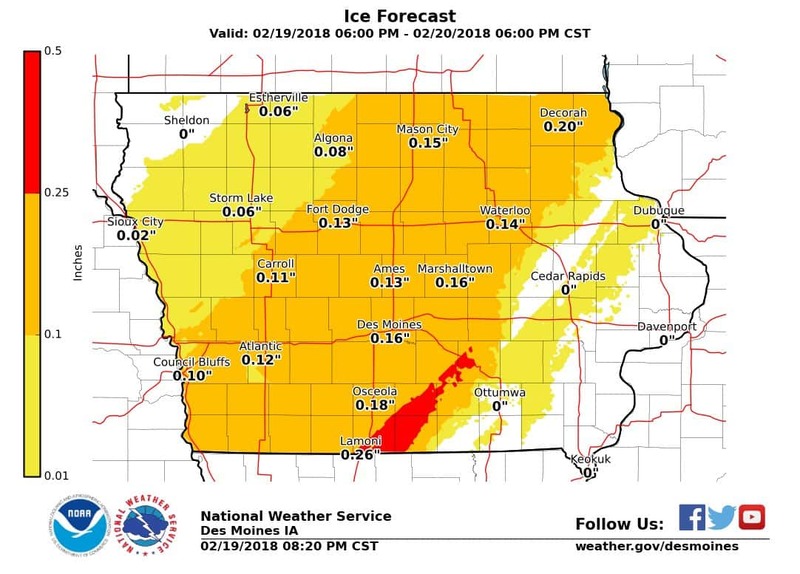 According to the National Weather Service, between .05″ and .20″ of ice is expected in most of Marion County, with amounts largely depending on the track of scattered showers moving through the region. Winds are expected to pick up as well throughout the day Tuesday, which may increase the difficulty of driving and strain power lines and tree branches coated in ice. The Marion County Road Department has pre-treated many area roads, and will be back out at 4 a.m. to try and keep county highways ice free.